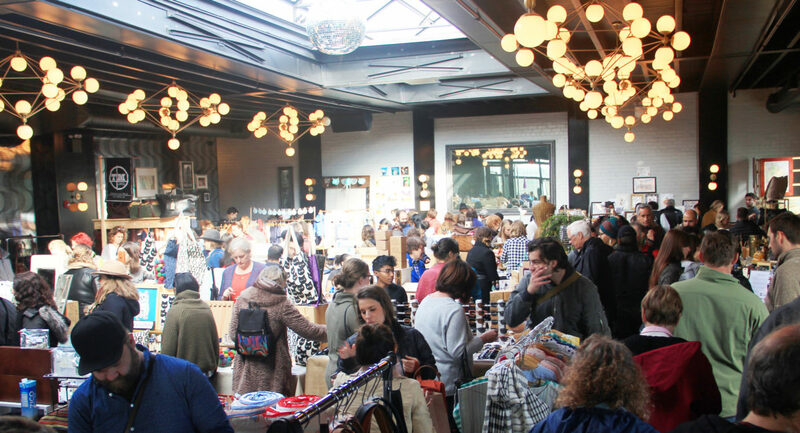 The best holiday markets in Brooklyn! If you’re not a fan of custom-made items, you can search for antiques, vinyl records, and kitschy gifts at many of these markets. For those who want to buy local, numerous items at these well-curated markets were not only designed by also made in Brooklyn. From November until Christmas, holiday markets are the place to find unique and one-of-a-kind gifts, and you might be tempted to pick up a few things for yourself. Add these markets to your holiday shopping list. All of these are annual events, and a handful of these markets run year round, so if you’ve missed a market this year, keep it in mind for next year. If you’re on the hunt for more places to shop, check out these gift shops and shopping streets. Here’s the scoop on what you’ll find, when they take place, and where to find these markets.